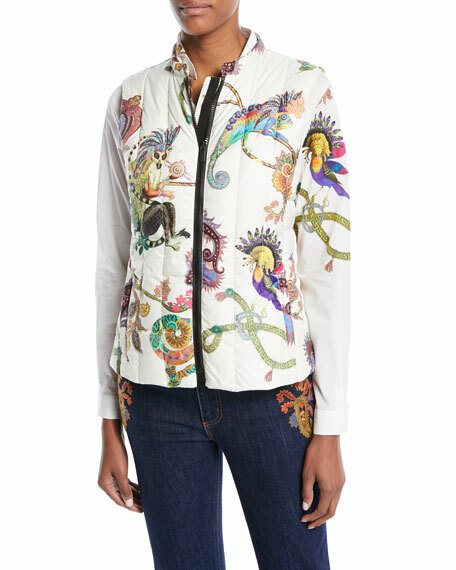 Etro puffer vest with colorful lemur-print. Nylon; padding, 80/20 goose down/feathers. 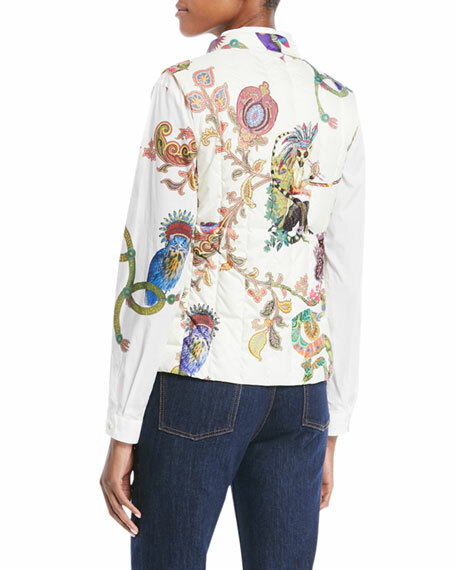 For in-store inquiries, use sku #2602658.